Do you love Tokeativity and tell all of your friends and followers already how much it means to you? Earn money WHILE you're spreading the word with our Ambassador program! We are looking for women who are passionate about empowering women and forwarding the normalization of cannabis. 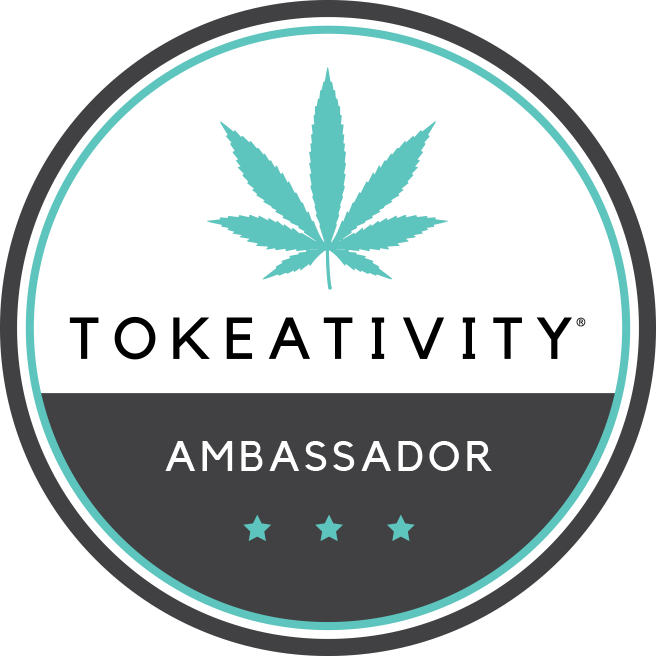 If you love Tokeativity and align with this mission, we want to hear from you! We will share proceeds with you for you just sharing and being a support for this community. Earn anywhere 10%, on-going for the longevity of any customers you send our way - ONGOING - that's right - ONGOING. Use your coupon code, invite system or referral link to track customer purchases and your earnings. Use your credits towards events, membership, and other experiences or request a payout. A min of $25 must be in your account before paying out. PayPal email address required. Advanced ambassadors may be asked to join our ambassador (+) program, and earn commission on sponsorship sales. We pay monthly for your referrals and appreciate you spreading the world. unique links you can create on your own!